Among the myriads of airport hotels near Suvarnabhumi Airport sits a quaint little gem known as Mariya Boutique Residence, the boutique hotel that promises an unforgettable stay, even if just for a short overnight visit. 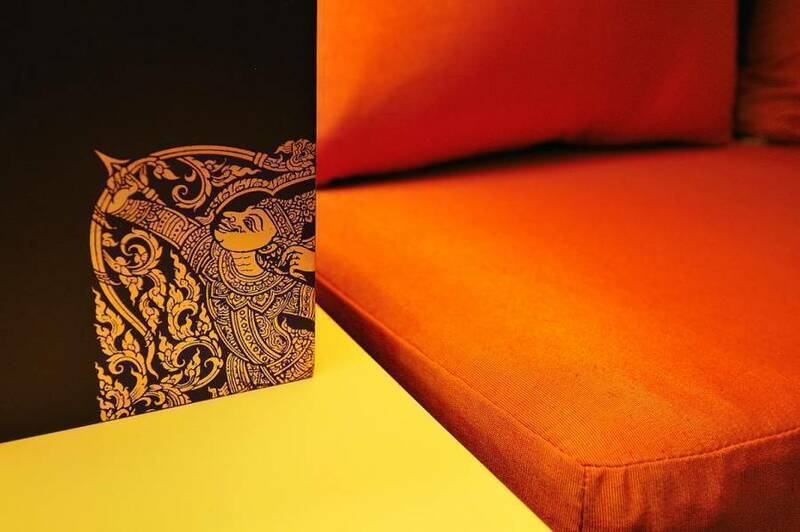 Inspired by the authentic Thai feel, Mariya is decorated in Thai contemporary design. Our grand and spacious lobby welcomes guests with Thai traditional music and herbal aroma that will immediately put you into relaxation mode. Gilded columns in the halls strikingly and unmistakably show off the quality craftsmanship of modern Chic Chiang Mai artisans. All guestrooms are tastefully decorated with premium furniture and well equipped with all modern amenities together with custom-designed beds to ensure our guests' most comfortable stay. 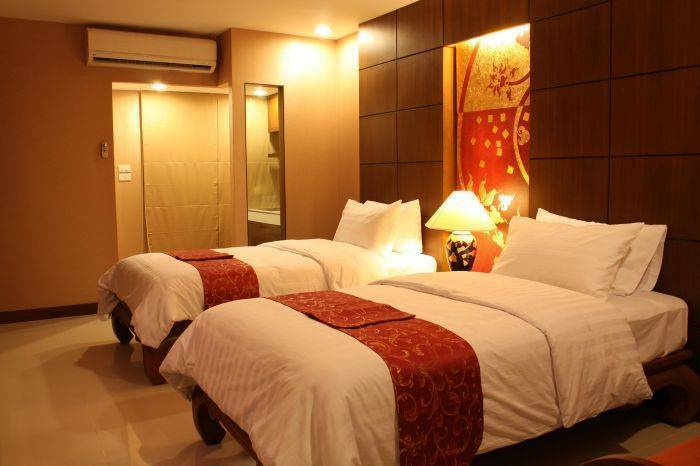 Mariya Boutique Residence obviously stands out for its high quality of bed linens, soft pillows, and comfy bed. Guests can enjoy their leisure time during their stay with our complimentary WIFI Internet in every room and at the lobby. Superior rooms are 25 sqm. with queen size bed with 29" flat screen TV with USB port. 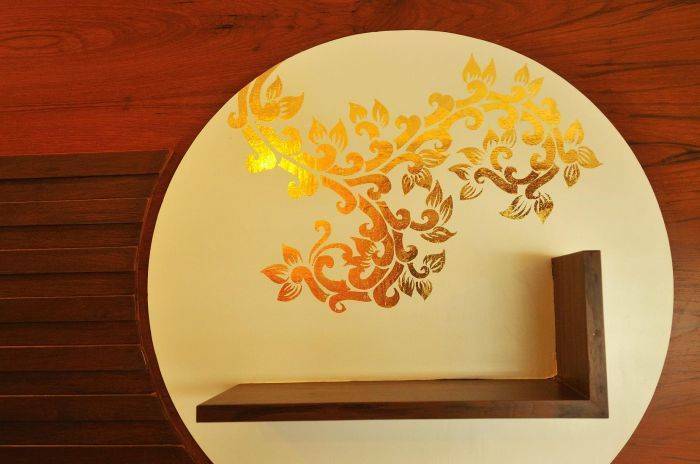 All guestrooms are well equipped with microwave oven, mini pantry with kitchenettes, hairdryer, kettle, iron and iron board (upon request), and fully-stocked minibar. 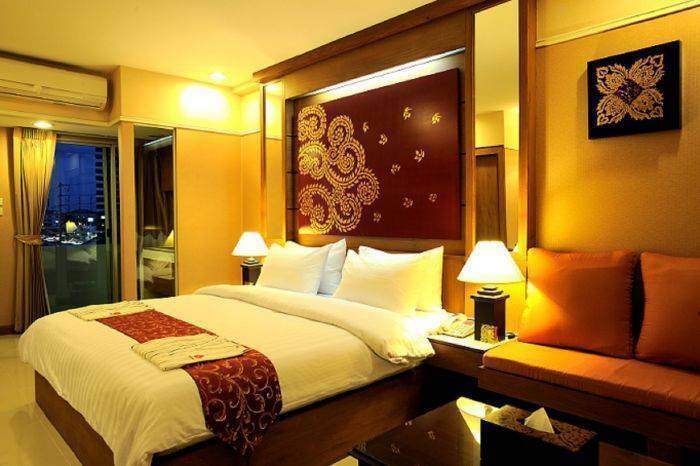 Deluxe twin bed rooms are 30 sqm with two single beds with 32" LCD TV with USB port. All guestrooms are well equipped with armchairs, microwave oven, mini pantry with kitchenettes, hardryer, kettle, iron and iron board (upon request), and fully-stocked minibar. 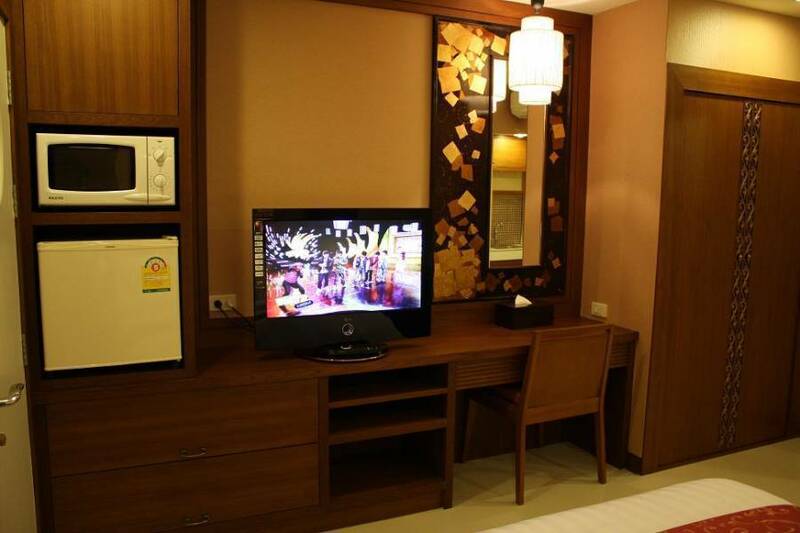 Deluxe double rooms are 30 sqm with king size bed with 32" LCD TV with USB port. All guestrooms are well equipped with seating area, microwave oven, mini pantry with kitchenettes, hardryer, kettle, iron and iron board (upon request), and fully-stocked minibar. All rates are inclusive of one-way airport transfer. Please provide us your complete flight details at the time of booking. Our hotel representative will be holding the hotel name signboard at GATE 4 of the Arrival Hall. - Cancellation received less than 7 days prior to arrival date will be charged with full lenght of stay. - No show will be charged with full lenght of stay. - Should the guest check out before the date booked, full lenght of stay will be retained by the hotel for early check out. 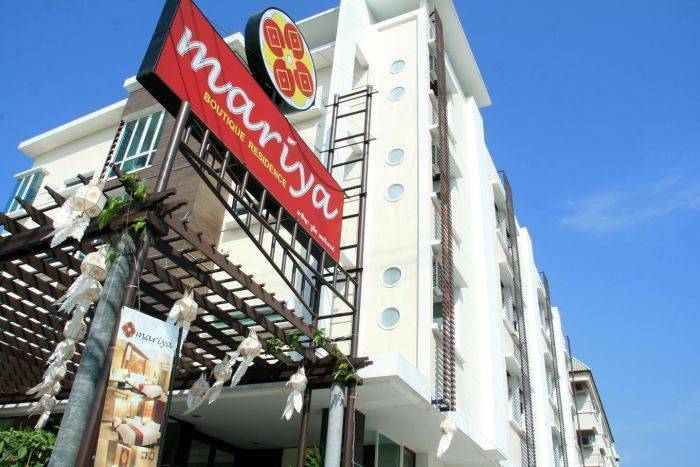 Mariya Boutique Residence is conveniently located on Latkrabang Road, between soi Latkrabang 11 and 13, only 5-10 minutes from Suvarnabhumi Airport. The hotel provides 24-hour airport shuttle service. Please advise us of your arrival flight details at the time of booking, so that we can arrange airport pick up for you. Our hotel staff will be holding the "Mariya Boutique Residence" signboard, waiting for you at the meeting point. Meeting point is GATE3 (for domestic flight) or GATE4 (for International flight) of the Arrival Hall (2nd Floor) inside the terminal building. Please contact the nearby AOT Information Counter to make an announcement or call us, if you cannot find our hotel staff within 5 minutes. Railway station is only 15 minute walk. Bus Station is just right in front of the hotel. Nearest airport: Suvarnabhumi Airport/ 5 km.